This course is designed for students who are new to virtual reality and want to learn about creating a fun interactive game in VR. 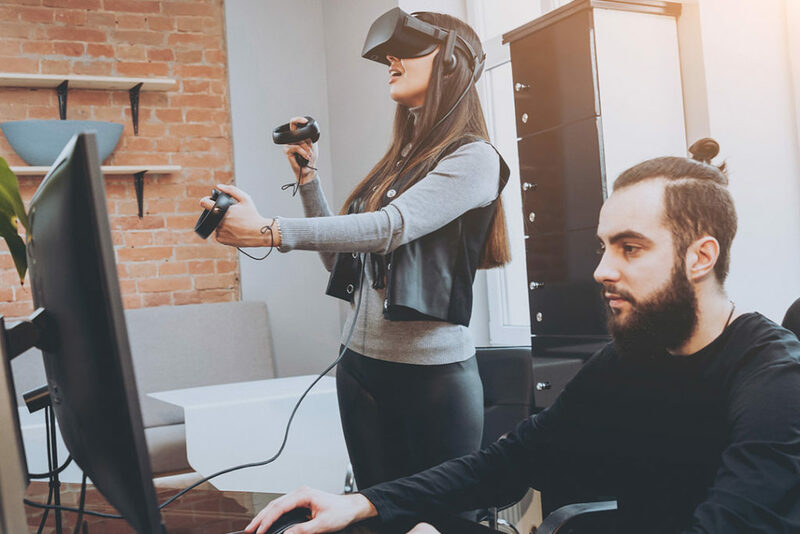 In this course students will learn about the basics principles of VR including but not limited to stereoscopic rendering, tracking, interacting with a virtual world and most importantly creating a VR game using the Unity game engine. This course requires you to have a very basic understanding of programming. This course does not require you to have any experience in game development or using the Unity game engine. By the end of this course, you will have created and deployed VR game using the Unity game engine. This course is designed for people who have very little or no experience in game development but want to learn how to create a game in VR using the Unity game engine. This course requires at minimum a beginner level knowledge in programming.